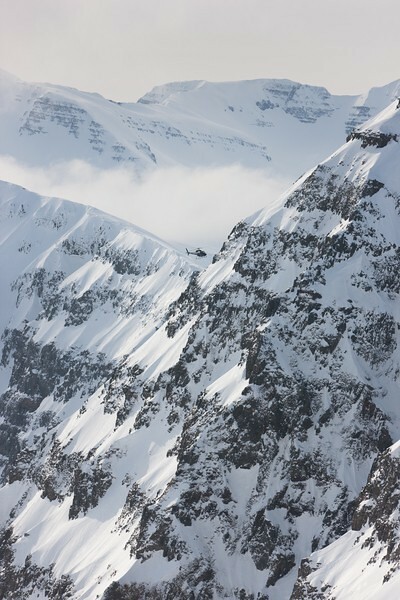 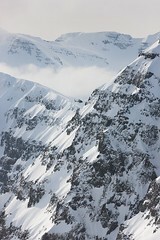 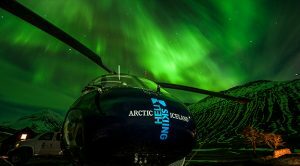 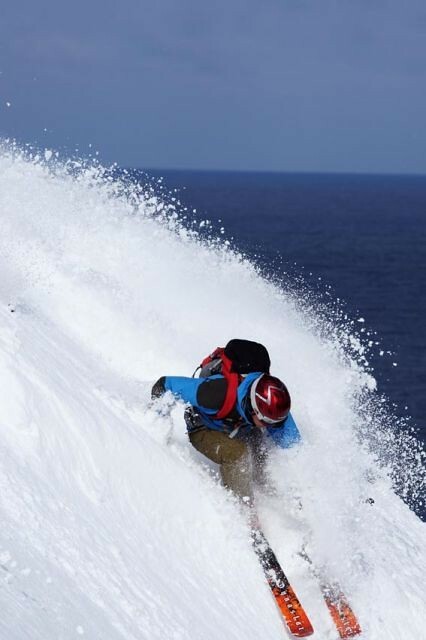 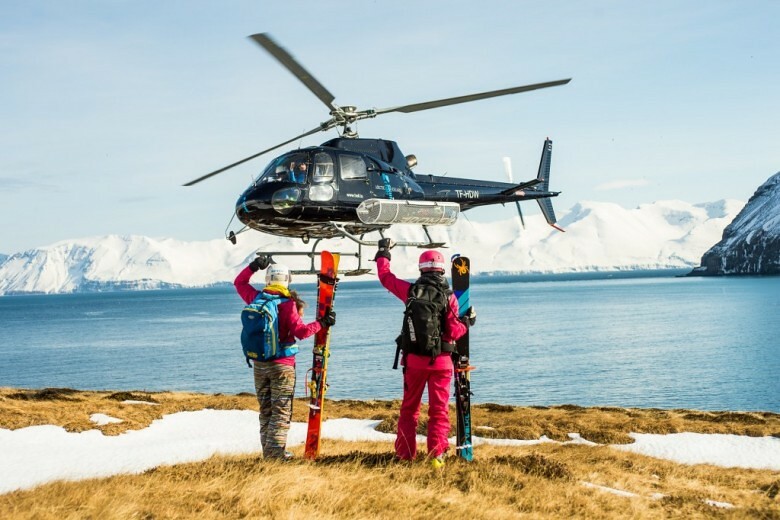 Our heliskiing domain in Iceland covers more than 4000 square kilometers (or 1500 square miles) of breathtaking Arctic mountains with terrain that suits every skiers ability, be it extreme couloirs or wide open glaciers. 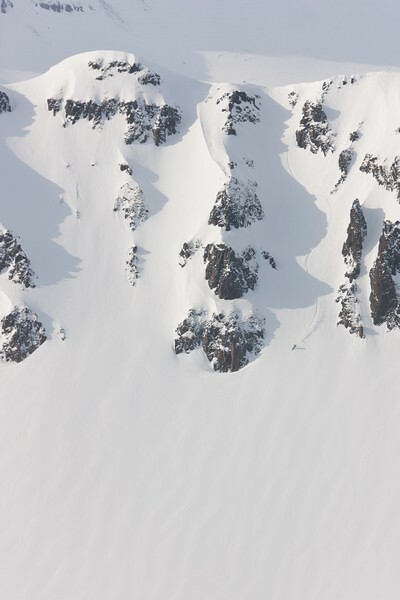 The season starts end of February, but lasts with generally excellent corn skiing and the occasional powder dump, well into June. 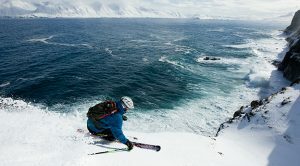 The fact that the Troll Peninsula is surrounded by the Arctic Ocean makes for incredible opportunities for skiing right down to the ocean on stable coastal snowpack. 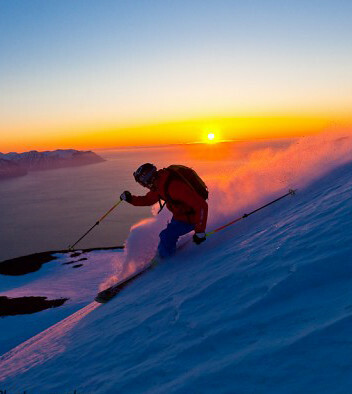 Throw in a mix of Northern lights, midnight sun, volcanic activity, hot springs, lava fields and a unique Viking culture and you will find that Iceland is a true adventure skiing destination. 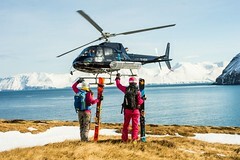 The fact that Iceland is only a few hours flight away from all major cities on both sides of the Atlantic gives you an opportunity for a quick heliski get away with no jet lag and the minimum of precious days off.